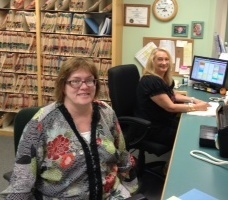 Here at the front office all patients are greeted with a smile and treated like part of the family. It begins with Jan and Robin, the exceptional people at the front desk. They''ll be sure to greet you with a smile and put you at ease. They can also help you with your appointments or scheduling questions, as well as insurance or financial matters. Jan is the Office Manager and has 30 plus years experience in business administration which helps to keep the office running smoothly. In her spare time she enjoys garedning, reading, sewing and is very active in her church. She will make you feel right at home and help answer any question you might have. 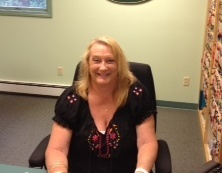 After many years working in sales and administration, Robin decided to make a career change and joined our office. She said that it was the best decision she ever made in her working life. 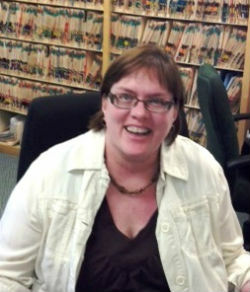 robin lives with her husband, two dogs and two cats and has five wonderful children and three adorable grandchildren. her favorite things to do are going to their camp, canoeing, reading, hiking and crafts.